Cozy Pine Cottage: 1 bed / 1 bath. Sleeps 8. Set beneath the tall pines, this charming two-story cottage is ready to make your Kiamichi getaway one to remember. 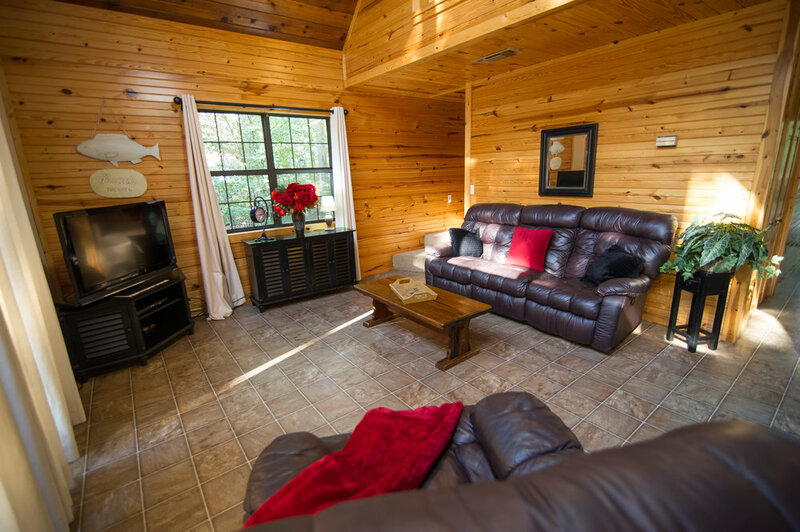 Cozy Pine Cottage is ideally located for all your daily outdoor activities, only two miles from the popular trout streams and just minutes from Beavers’ Bend Park, Broken Bow Lake access, Hochatown, and Cedar Creek Golf Course. And when you are ready to sit back and relax, Cozy Pine Cottage still has you covered – modern amenities in a quiet country setting. Several restaurants are just minutes away or you can prepare your favorite meal in the cottage’s fully stocked kitchen.This spacious and comfortable a-frame cabin has an open floor plan with a roomy loft & lots of room to comfortably sleep up to 8. 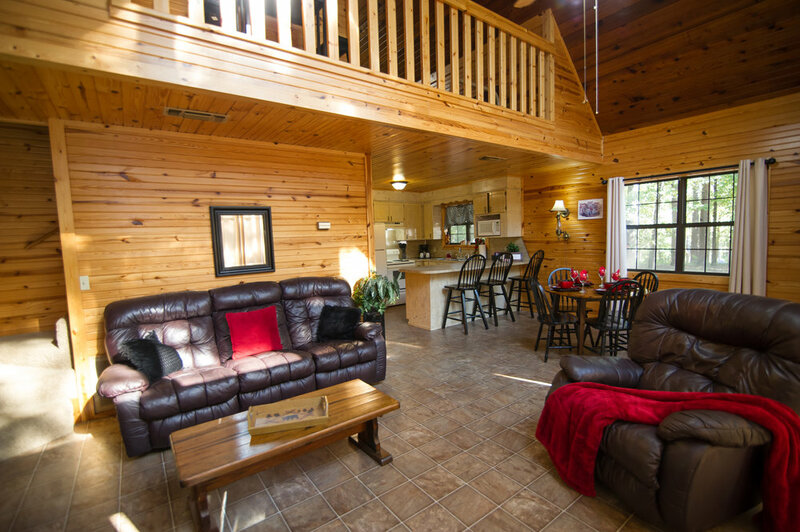 Cozy Pine Cottage is perfect for couples, small families, or a group of friends coming to Broken Bow Oklahoma. For smaller families, there are two queen size beds. If you need to – there is a full size futon and a daybed / trundle bed that can accommodate up to 4 more guests. Two flat screen TVs means there is room for everyone to relax with their favorite movies. Enjoy soaking in the hot tub or relaxing on the 2nd floor balcony or cooking on the charcoal grill.Cozy Pine Cottage is the best mix of comfort and convenience.